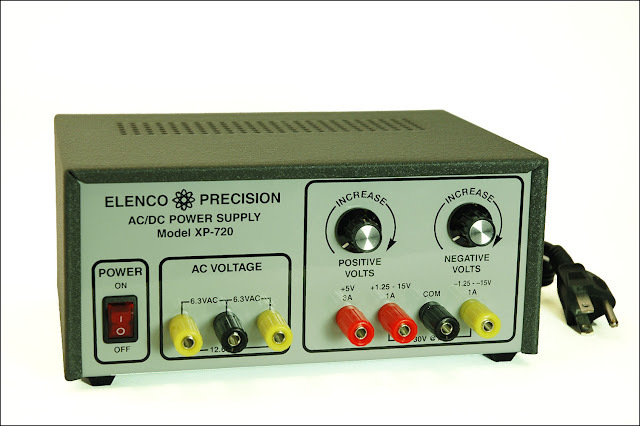 The Elenco XP-720K is the only complete bench power supply kit I could find. I wish there was broader selection, but I’m glad there is at least one manufacture still making this kind of thing. Let’s take a look at the kit and see if it lives up to the hype of being the world’s only complete power supply kit. To be honest, there are many many power supply kits out there but the XP-720K is the only complete kit I could find. What I mean by complete is a kit that has everything required to build a bench power supply. That means everything from the power cord to the knobs and it has to include an enclosure with stenciled faceplate. The Elenco XP-720K is the only kit that meets these requirements. 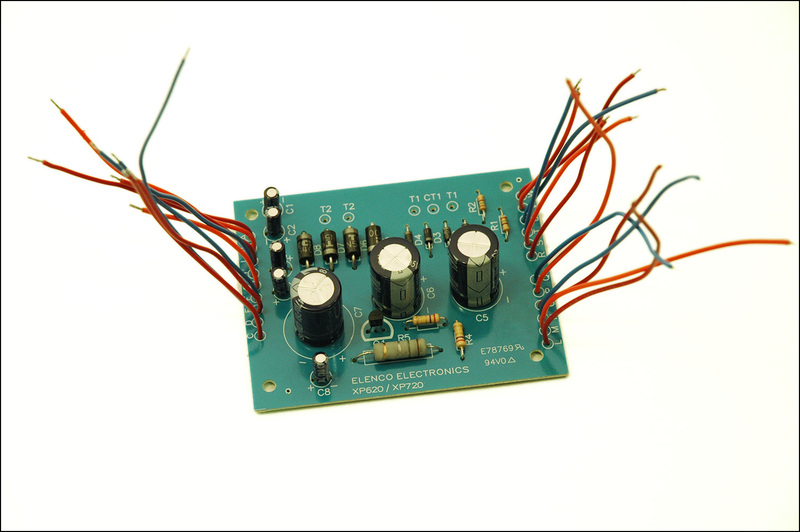 There are tons of kits made up of just a PCB and components. These supplies can be put directly into your project, or you can supply a generic enclosure to mount them in. Unless you’re adept at customizing enclosures, you’re going to end up with some kind of Frankensupply with a label maker panel or worse. It might work just fine, but it’s not going to look very good. There’s nothing wrong with that, but if you want a kit that looks like it was professionally manufactured, this could be the only one. I give props to Elenco for being the only manufacture currently still making complete power supply kits. I know there used to be other manufactures making stuff like this and I’m pretty sure Heathkit has produced some power supply kits over the years, but those days appear to be gone. There isn’t a huge market for this kind of thing, but it’s great to know that there is still someone out there making stuff like this for students and hobbyists. With the maker movement in full snowball mode, maybe we'll see some enterprising young companies offer something in the future. The Elenco Power Supply Kit Model XP-720K comes in an ordinary plain white box with a label on one end. There’s nothing fancy about the packaging. 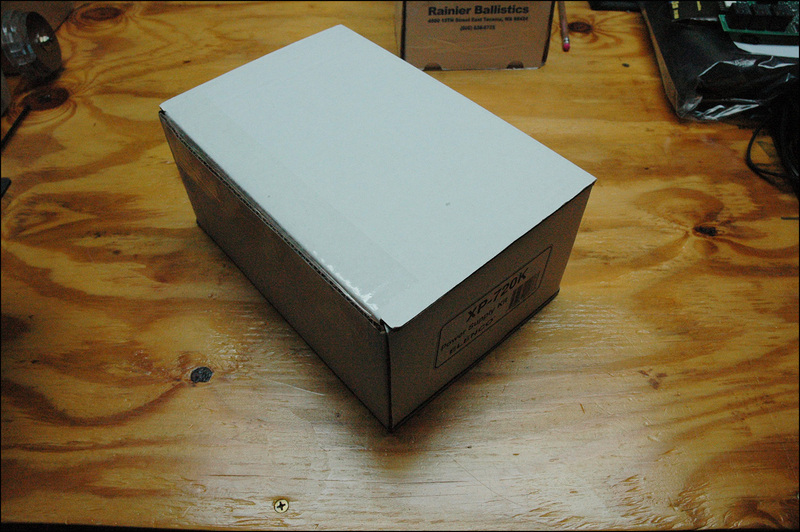 The enclosure parts are wrapped in thin paper to prevent scratches during shipping. 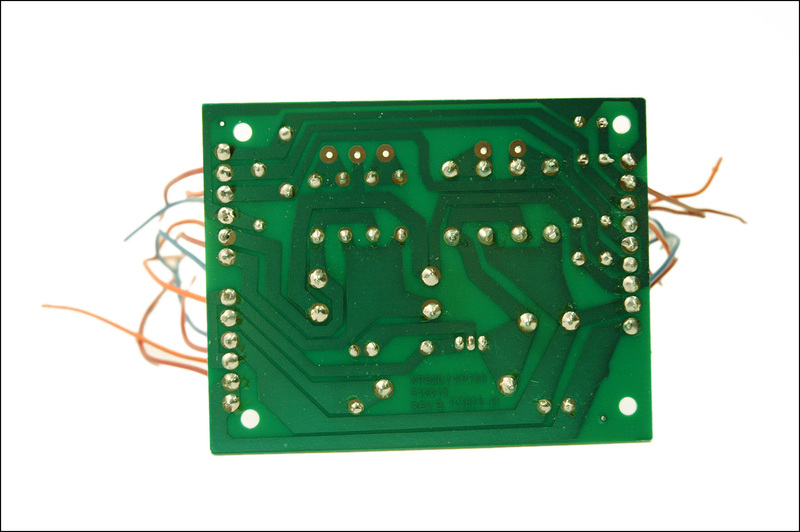 Electronic components and hardware are grouped into several thermally sealed small plastic bags. The mass of the transformer plays havoc with the light card stock box it comes in. The transformer and its box could end up being a little wrecking ball if the shipping gets too rough. Be on the lookout for damage during shipping. 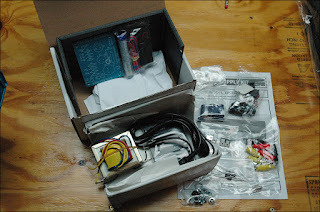 Most of the included parts are the level of quality you would expect in a kit like this. Elenco is obviously trying to make the kit as inexpensive as possible to maximize both profit and sales, but quality doesn’t seem to suffer too much. I’m sure the electronic components are the cheapest they could source, however, the kit does work to spec when assembled correctly. The Elenco assembly manuals are usually very good. The included 20 page, 8.5”x11” manual is no exception. The manual is detailed and wonderfully illustrated. The parts list references the kit’s parts by description, part number, and also by illustration. 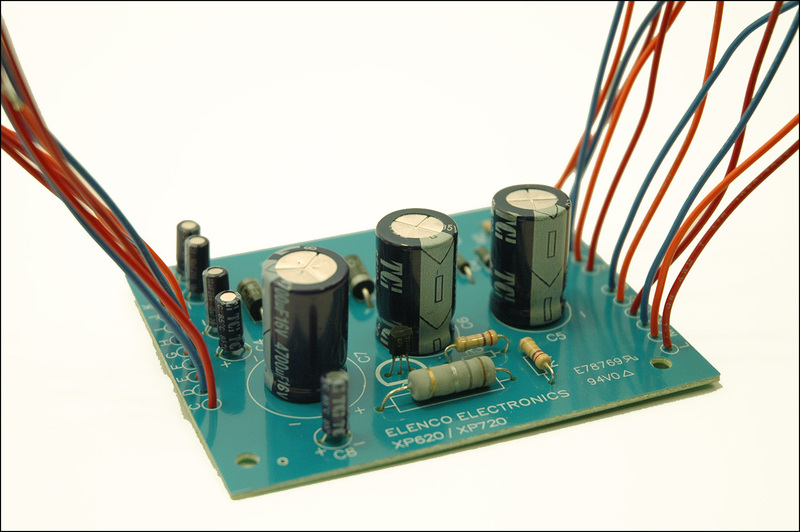 There’s a page dedicated to identifying resistor and capacitor values and a page about soldering and safety. The assembly instructions are clear and easy to follow and supplemented with some great illustration work. 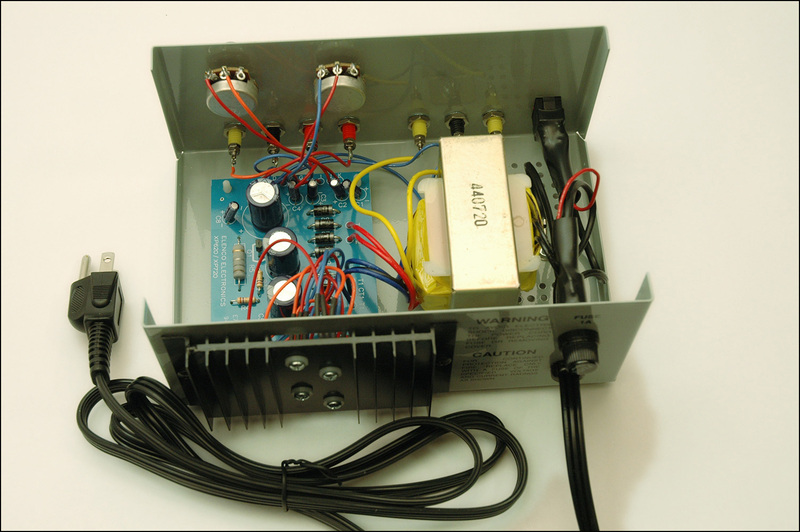 There’s a section on testing the completed power supply, a troubleshooting guide, a description of how the supply works, a brief quiz, specifications, and a schematic. The assembly manual is very well put together and complete. I built my kit in two parts, soldering the components onto the circuit board one day and finishing the assembly on another. I dropped the ball and didn’t note the build time, but it had to have taken well over an hour. There’s quite a bit of cutting and stripping wires. While I’m not a big fan of cutting and stripping wires, the kit was relatively fun and easy to assemble. The Elenco XP-720K kit went together pretty easily with only a few hitches. The plating on the binding posts made them more difficult to solder then they should be. I didn’t have too much trouble with them, but I can see how they could present a problem. I recommend using good old 60/40 solder instead of the lead free solder that comes in the kit. Tinning the binding posts and the wires prior to soldering will make things a bit easier as well. The only real problem with this kit is how the voltage regulators and power transistor are connected to the rest of the circuit. I would have liked them mounted to the circuit board with the rest of the components but that’s not a big deal. What is a big deal is that you’re supposed to solder wires to the regulator terminals and, according to the manual, “…be sure that the leads do not touch each other and cause a short.” I think this is easier said than done. I didn’t even try. I put heat shrink tube on all the terminals. Make sure you have some extra on hand. It might save some head scratching later. I currently don’t have the equipment to thoroughly test power supplies, but I was able to put a load on the supply and measure the voltage and current with my Fluke 87-5 multimeter. Basically, I reproduced the tests suggested in the manual. The manual states that the 5 volt supply and the 1.25 – 15 volt supply, set to 10 volts, should drop no more the 0.20 volts with a 2.5 ohm and a 10 ohm load respectively. I used relatively inexpensive 100 watt 5% tolerance wire wound resistors in 2 and 10 ohms. This kit isn’t cheap. It can be found for around $80 which is enough to buy a cheap Chinese switching power supply, but you don’t get to put it together. Be careful with these Chinese supplies as there are many that look very much the same but the quality varies wildly. 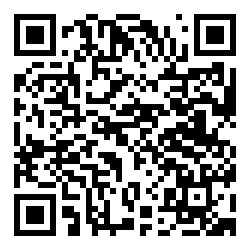 Examples can be had on Ebay, Amazon, and all over the Internet. Despite all the wire cutting and stripping, I had fun putting the Elenco XP-720K Power Supply kit together. The few issues I have with the kit, the sloppy voltage regulator implementation, the lack of heat shrink, the inexpensive parts, and out of spec readings shouldn’t be judged too harshly. The manual is excellent with a good description on how the power supply works and a little quiz on the material. 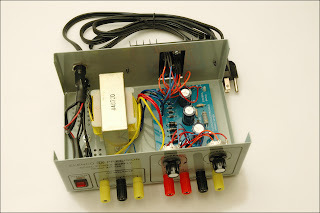 This is a decent hobbyist grade linear power supply and a great learning tool. UPDATE: I was asked if I could post how many watts this power supply draws from the AC outlet. I tested it with a couple different loads and the results follow. Thanks opu. I'm glad you enjoyed it and I hope you found it helpful. Great review Jeff. Thanks for putting this together and publishing it.